FOCUS Brands International is the franchisor of over 1,450 locations outside of the United States, represented in more than 50 countries by one or more of our five brands, Auntie Anne’s Pretzels, Cinnabon, Carvel, Moe’s Southwest Grill, and Schlotzsky’s Deli. Auntie Anne’s Pretzels – Based in Lancaster, Pennsylvania, Auntie Anne’s is an American chain of pretzel bakeries founded by Anne F. Beiler and her husband, Jonas, in 1988. Auntie Anne’s serves products such as pretzels, dipping sauces, and beverages. 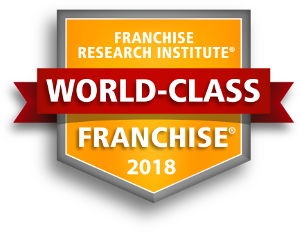 For seven years in a row, from 2006 to 2013, the designation of “World Class Franchise”, an award has been bestowed upon us by the Franchise Research Institute and based upon survey results submitted by our franchisees. Auntie Anne’s now has more than 1,800 locations in 28 countries (over 600 international). Cinnabon – Founded in Seattle in 1985, Cinnabon is the leader in cinnamon roll bakeries. Our bakeries serve fresh, aromatic, oven-hot cinnamon rolls, as well as a variety of other baked goods and specialty beverages. Cinnabon has over 1400 locations worldwide in 49 countries (nearly 600 international). Carvel – Considered the first retail ice cream franchise in the United States, Carvel has become one of the best-loved and most recognized names in its industry. Founded in 1934, the company is the leading provider of premium soft-serve and hand-dipped ice cream, ice cream novelties, and is the leading manufacturer of ice cream cakes which are sold in over 8,500 supermarkets. Carvel currently operates in more than 480 franchised and food service locations within the United States and 58 international locations in 15 countries. Moe’s Southwest Grill – With over 500 locations, Moe’s is now one of the fastest growing franchised concepts in the United States and a leader in both the TexMex and Fast-Casual categories. We offer our guests the opportunity to customize their burritos, tacos, quesadillas, nachos, salads and fajitas, choosing from over 25 fresh ingredients including grilled chicken, steak and even tofu. There are meals just for kids, beverages just for adults, and chips and salsa for everyone to enjoy with their meal. Moe’s has a passionate commitment to freshness and has never used freezers, microwaves, animal fat, lard, or MSG. Schlotzsky’s Deli – In 1971, a small shop in Austin, Texas was home to our one-of-a-kind sandwich “The Original”. Now more than 40 years and 340 restaurants later, Schlotzsky’s is an international franchise restaurant chain that has been aggressively on the move and is honored this year within the USA with the designation of “World Class Franchise” by the Franchise Research Institute. The brand has built upon the strength of our signature sandwich to include delicious other hot and toasted sandwiches and wraps, specialty pizzas, freshly tossed salads, and gourmet soups. With a re-image initiative completed in 2011, Schlotzsky’s can provide the speed of Quick Service Restaurants yet treat the guests to the comforts and environment of a Fast-Casual or Casual Restaurants. FOCUS Brands International negotiates Territory Agreements ranging from a minimum of five, to over one hundred locations. Because of the potential range of scheduled growth and country-specific costs, financial requirements from one project to the next will vary but are commensurate with the scope of the proposed project. As an example of the financial capability required, for agreements that are written for the opening of only five locations, we expect that you will have sufficient liquid assets to finance the first two locations completely, plus have the capital to fund the next three locations at 50% of the overall cost. When the number of locations increases for larger territory commitments, we will expect that your financial resources will be adequate to fuel your operation beyond its first three (3) years. We expect that, aside from the funding required for the development of retail locations, you will additionally incur expenses that are associated with building an infrastructure to support your store operations. "The current leadership of the International business unit are very focused and the best I have seen in the past 8 years since joining the system. I learn a lot from them and they are really keen to make my business successful." "I enjoy their attention and concern for our success as well as the personal relationship we have established from our work environment." "We work as one team, and they understand the current status of my local market." "There's a vision for growth and franchisee success in non traditional venues." "They do listen to franchisees and are flexible to the market condition." "They're always willing to support to ensure my businesses are running smooth." "The current management team are excellent and their support is highly appreciated!" To obtain your FREE report about FOCUS Brands International, please fill out the form here.